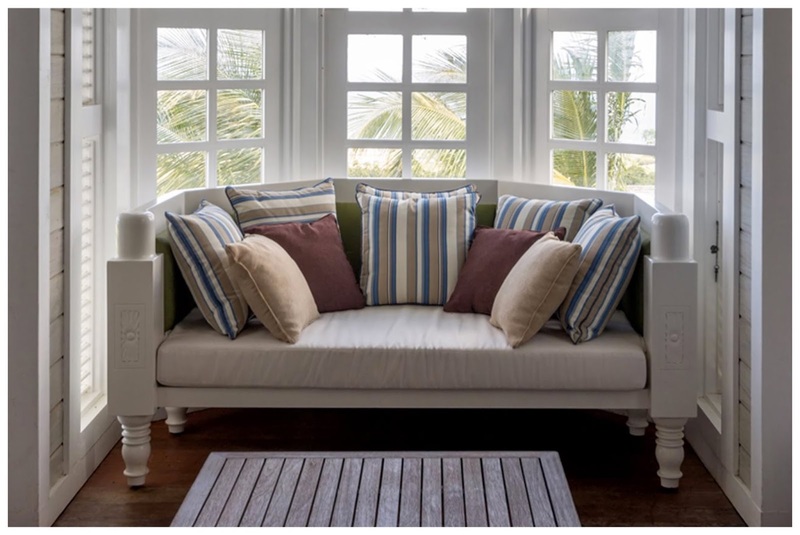 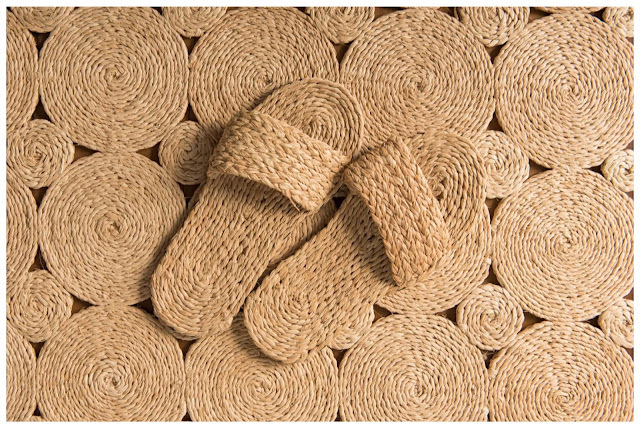 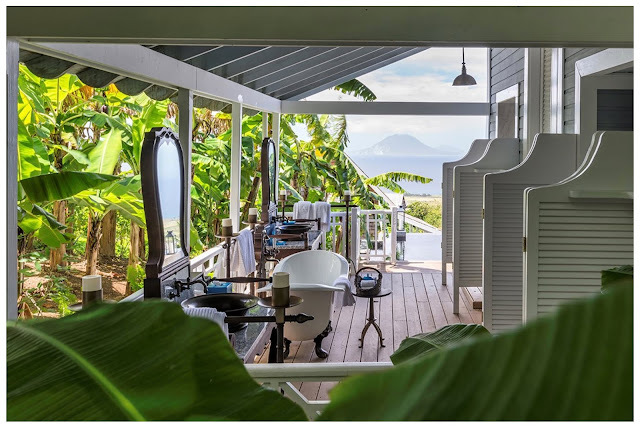 As much as we like a modern take on traditional Caribbean architecture, we also love it when traditional elements are incorporated and updated for the way we live now. 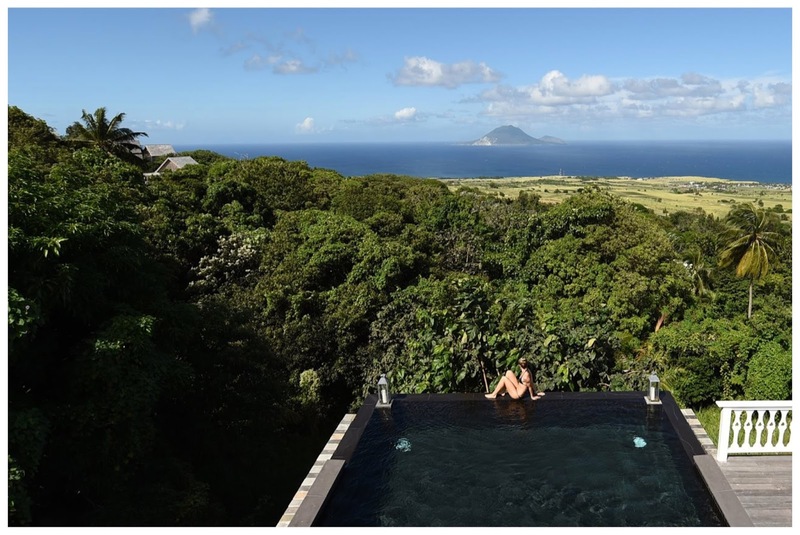 Belle Mont Farm is a relatively new property on the island of St Kitts that was established to appeal to a new type of traveller: one interested in the best, most authentic experience, is concerned with sustainability and the environment and has a desire to experience a Caribbean vacation that offers more than just a relaxing island escape. 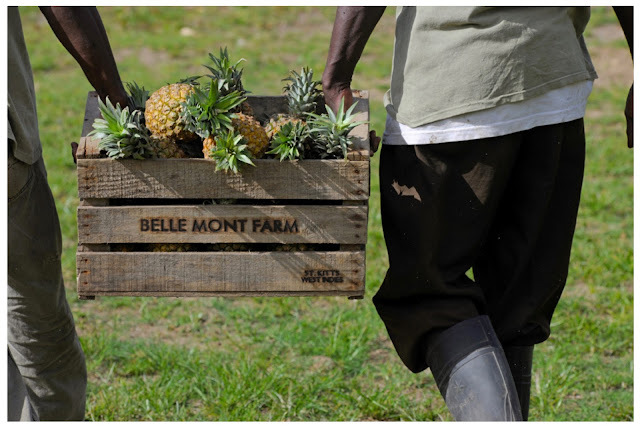 Belle Mont Farm is, as its name would suggest, an organic and sustainable farm where guests can stay and enjoy authentic West Indian food made with locally grown ingredients. The 400-acre farm prides itself on the expansive, edible landscape that surrounds the resort and the fresh, organic produce it offers. 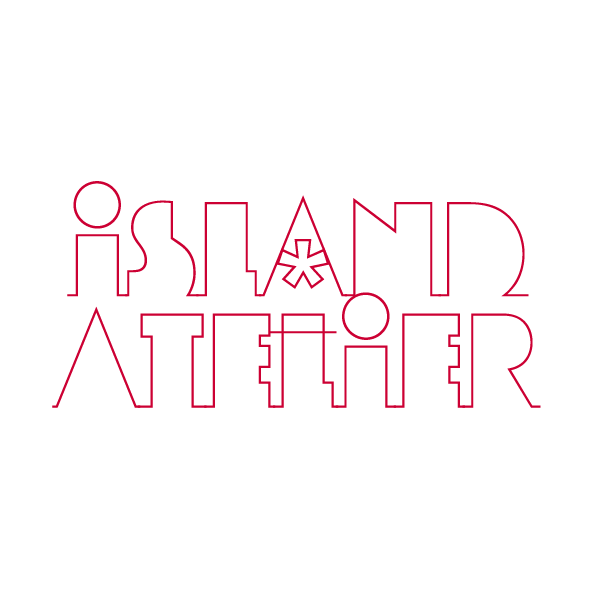 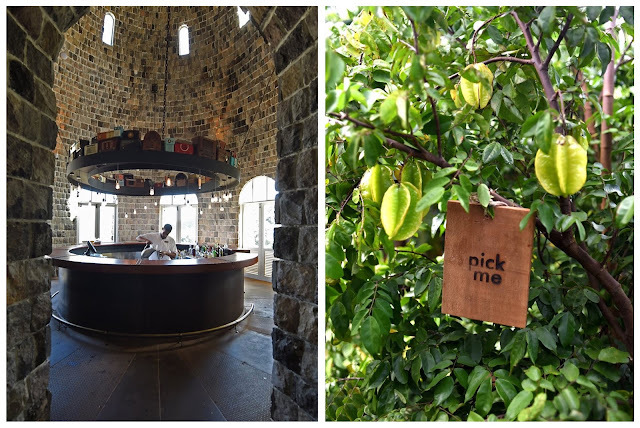 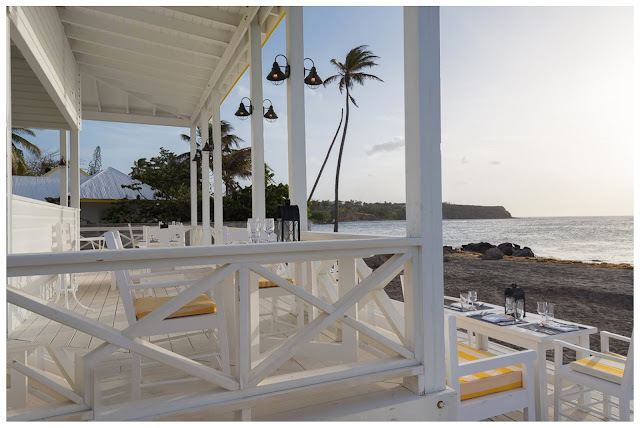 There are several restaurants on the property and 90% of the restaurants' provisions are sourced from the estate as well as nearby farms in St. Kitts and Nevis. 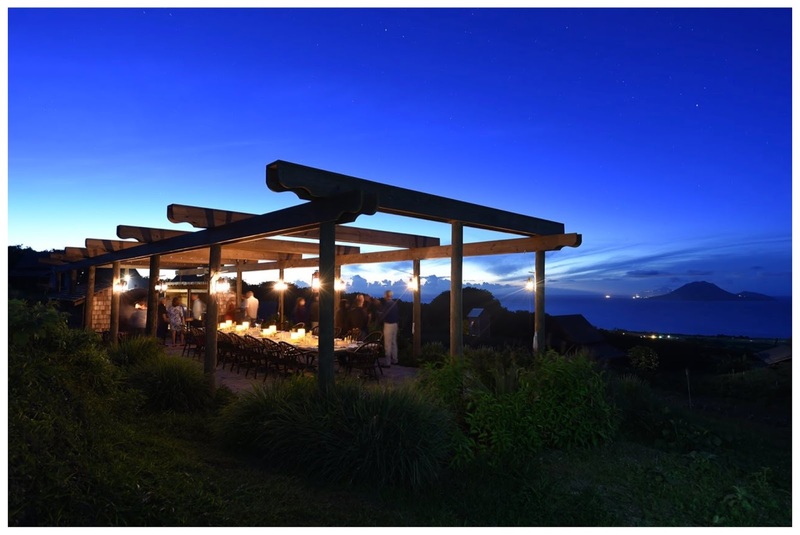 Meals can be enjoyed al fresco at The Kitchen restaurant which is located high on the slopes of Mount Liamuiga and where a 30 foot long table provides a communal dining experience. Guests are encouraged to dine early to catch the spectacular sunsets from this vantage point. 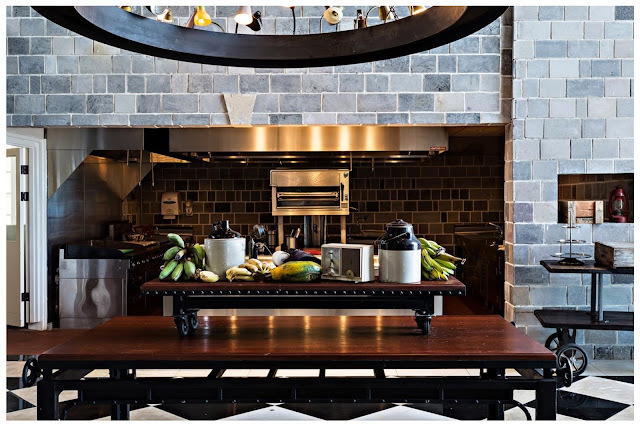 At the water's edge sits Arthur's, the newest addition to the Belle Mont Farm culinary roster. 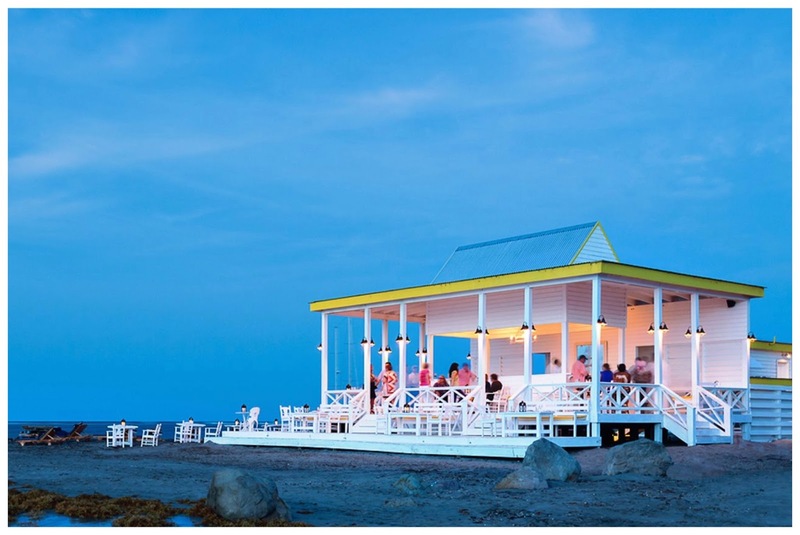 Arthur’s offers an oceanfront dining experience on the black sand beach of Dieppe Bay, a 10 minute drive from the resort. With a location just down the beach from a fishing spot popular with locals, Arthur’s menu reflects the freshest catch of the day, paired with complementary produce from the farm. 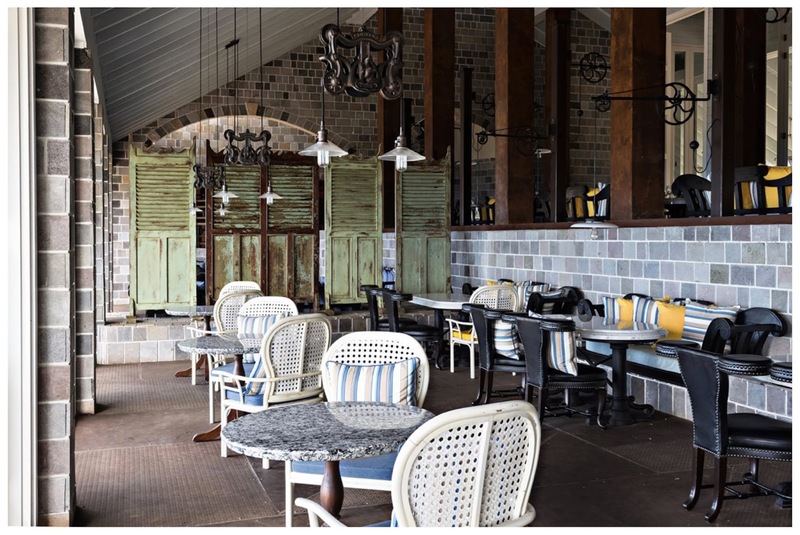 The Mill Bar is housed within a refurbished sugar mill. Here mixologists create classic or original, exotic cocktails inspired by the fruit and herbs found around the resort. While food is obviously an important component of any stay at Belle Mont Farm, great care has also been taken with the buildings. 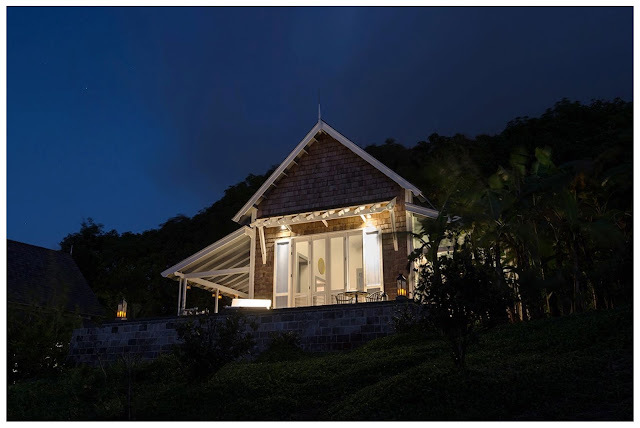 Visitors can stay in three types of properties: a guesthouse, a farmhouse or a villa all of which have been designed by the award-winning architect Bill Bensley to be in harmony with the natural landscape and to offer spectacular views of the tropical forest of Mount Liamuiga and the organic farmland that covers the slopes to the sea. The guesthouses consist of one bedroom structures with open verandas and decks that skirt the exterior. 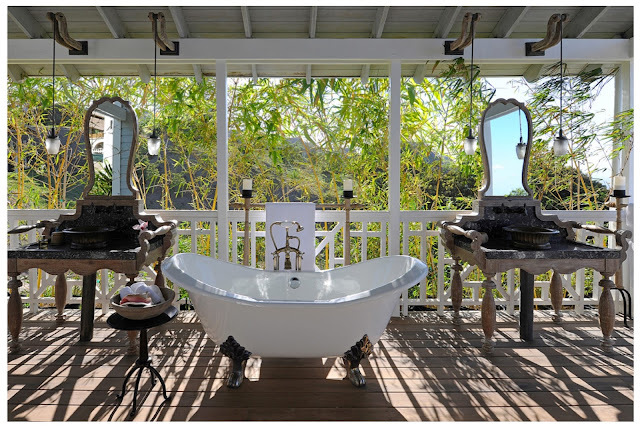 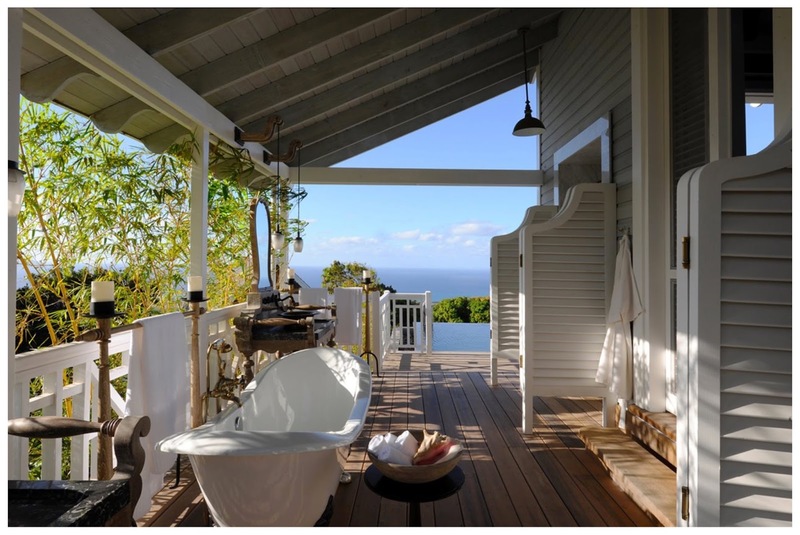 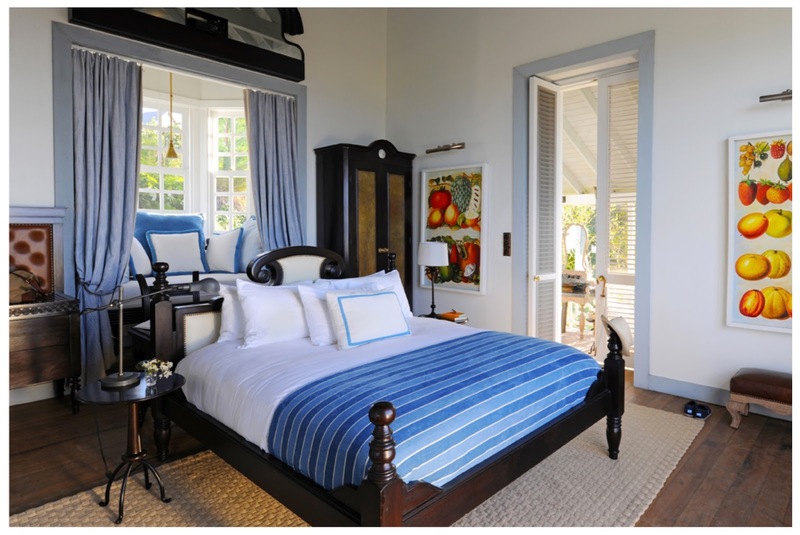 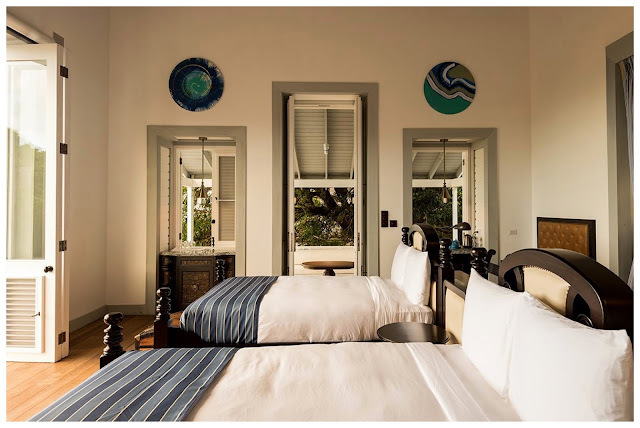 Each guesthouse comes with a daybed and private pool that overlooks the tropical forests and the Caribbean Sea. 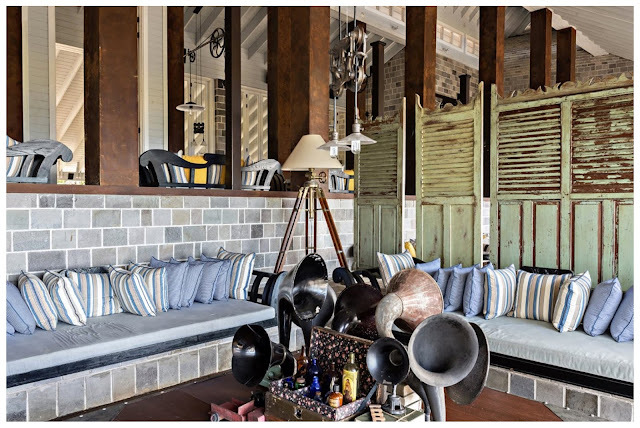 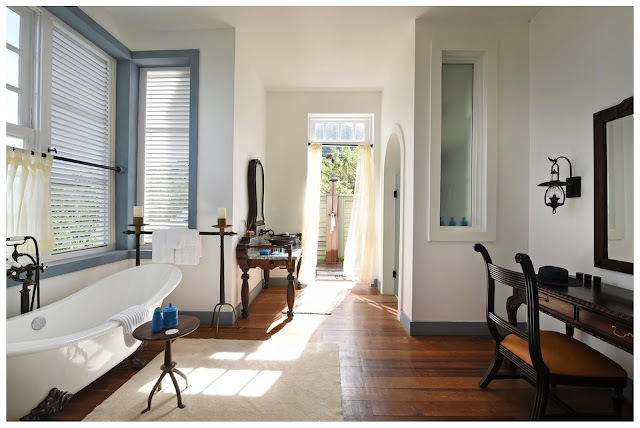 They feature high ceilings, private bathroom verandas fed by a rainwater showers and freestanding bathtubs. The farmhouses are slightly larger and can host up to four couples or eight guests. 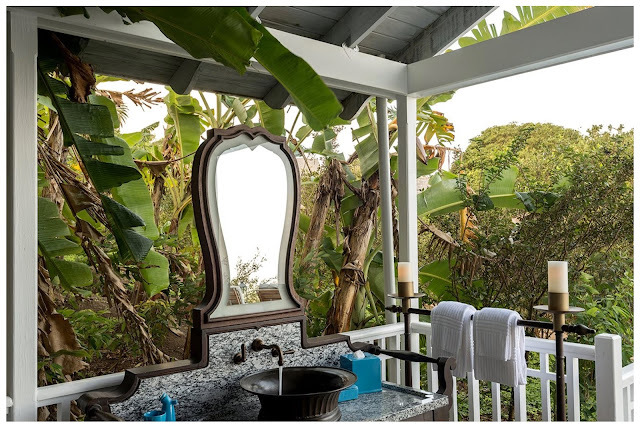 Each group staying at a farmhouse has its own private accommodation which can be accessed via a short-stroll across a private footbridge or through the trees from the central living pavilion. 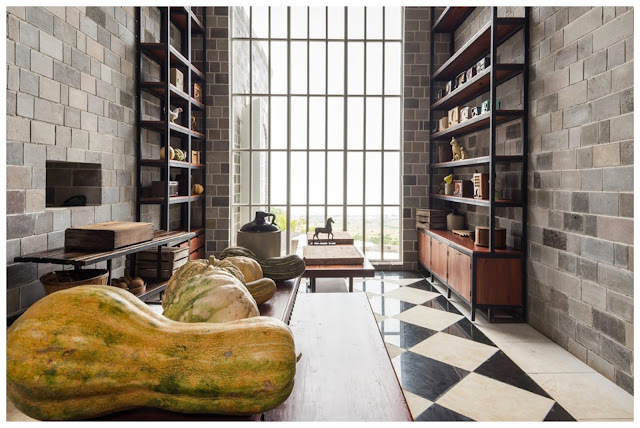 Each farmhouse is outfitted with a 100-foot long infinity-edge pool and a professional kitchen, ideal for gastronomes and bon viveurs alike. 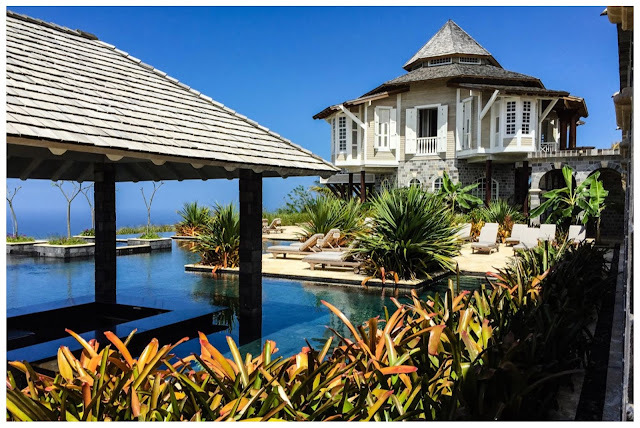 The largest properties, the villas, have been designed for families or groups of friends seeking an authentic Caribbean vacation. 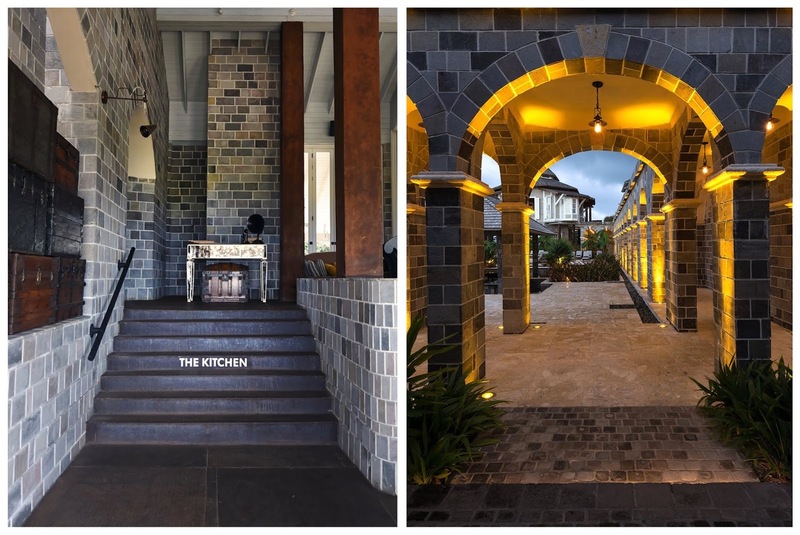 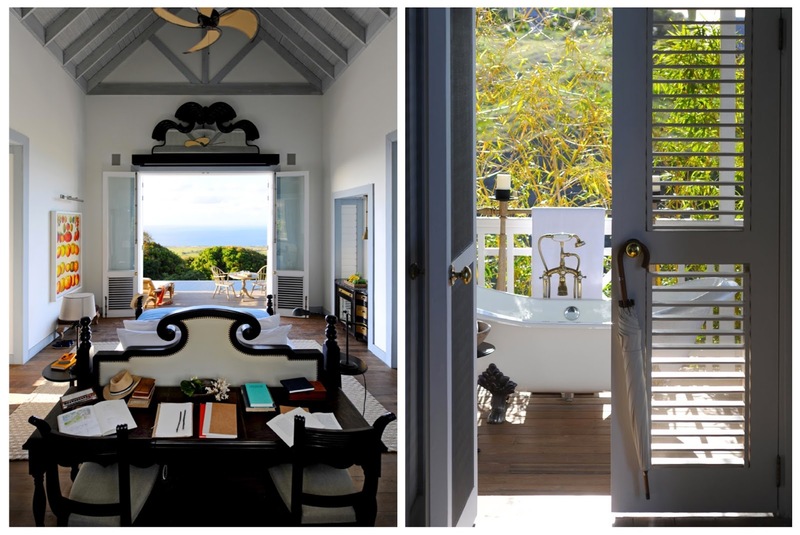 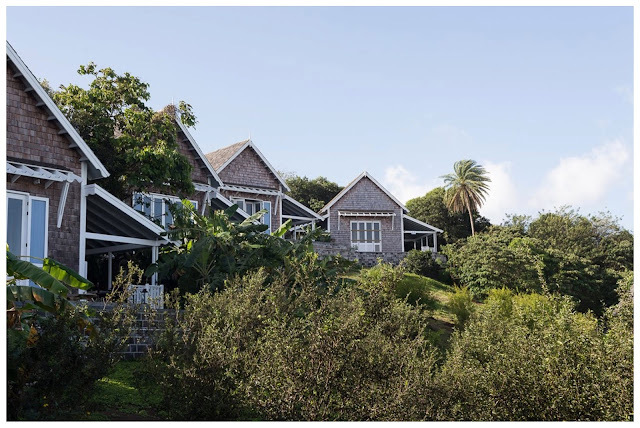 The buildings are constructed from local stonework and have shingle rooftops, shuttered windows and carved balustrades, all of which capture the feel of a traditional Caribbean residence. 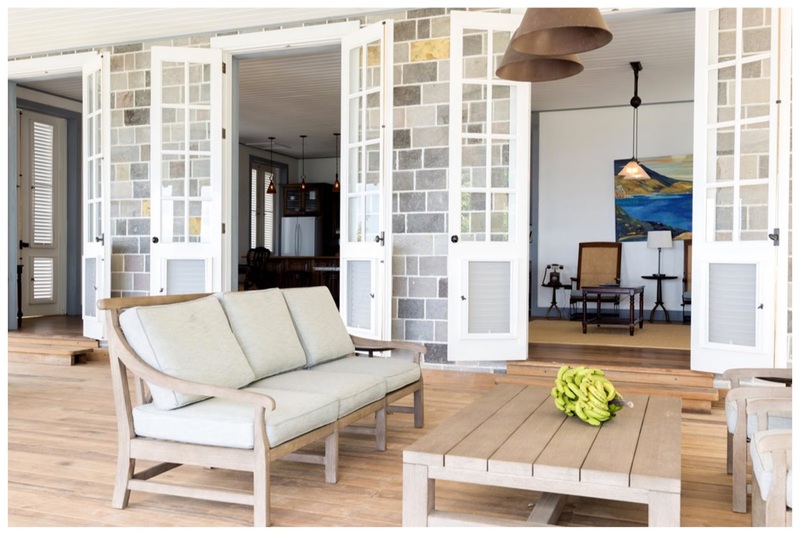 The villas also have high vaulted ceilings, open and airy verandas and private, infinity-edge pools that make them ideal for entertaining.